Lately, we've been salad obsessed. So, with summer coming and all of us hoping to be a little healthier, I thought we'd start a new series called - Saladaganza i.e. an extravaganza of salad. 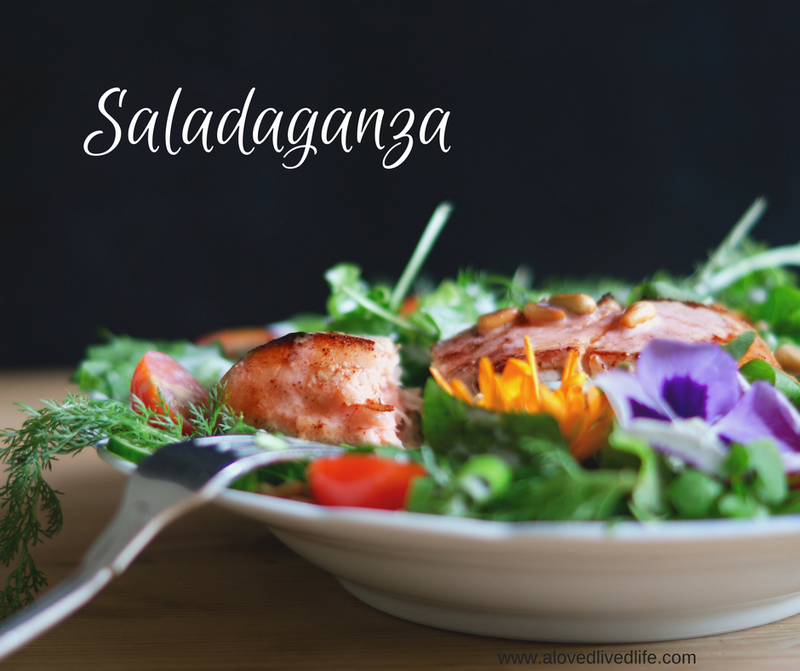 I'll share salad ideas regularly - check out the tag, saladaganza, to get them all. I didn't take a picture of my first salad (which is hard to believe, because normally I can't resist snapping a shot of good looking food), but here is our first saladaganza offering. Skewer Salad - perfect for summer! Put the steak, mushrooms, onion, and bell pepper on skewers and grill until done. Prep the rest of the veg. Put it all together and drizzle with your favorite dressing.